News of a deal to sell and repair a Manitoba town's broken rail line means more than just a return to reasonably priced groceries and easier access for visitors to the polar bear capital of Canada. 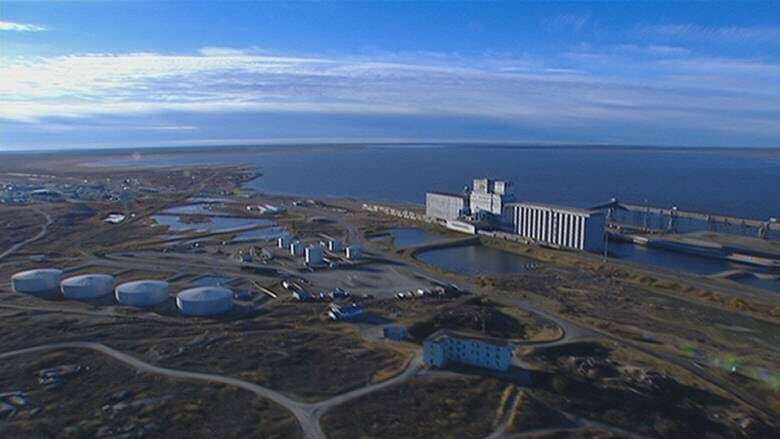 "The future looks bright in terms of that to happen," Churchill Mayor Mike Spence said Saturday, a day after an announcement that the rail line, port facilities and tank farm in Churchill have been sold by Omnitrax. More than a year after spring flooding in 2017 washed out the community's land link to the south, the assets have been purchased by the Arctic Gateway Group, a private-public partnership of Missinippi Rail Limited Partnership, Toronto-based Fairfax Financial Holdings and AGT Limited Partnership, a news release from the federal government announced late Friday. AGT is a Regina-based company that specializes in pulses and staple foods, and that has people like Dave Daley, president of Churchill's chamber of commerce, hopeful the company plans to move goods to market from Churchill. "AGT is huge into agriculture and this is the shortest way to get your stuff to market," Daley said, noting a lot of people in the town were celebrating Friday night. The Canadian government sold the port — the community's top employer at the time — and the Hudson Bay rail line to Denver-based Omnitrax in 1997. Citing the elimination of the Canadian Wheat Board in 2012, which dried up grain shipments through the north, the U.S. company shut down the port in 2016. Then spring flooding in 2017 damaged the rail line and the company said it couldn't afford to fix it. Fuel and food had to be flown into Churchill at skyrocketing costs, creating a huge burden for businesses that cater to tourists who visit Churchill to see polar bears, beluga whales and the northern lights. "We can't ignore the potential of the only rail link to an Arctic port in North America," Al-Katib said in an interview Saturday. "That gives the opportunity for this to be a natural resources corridor. And grain happens to be one of the abundant natural resources that we have in Western Canada," he added. After the dismantling of the Wheat Board, grain was free to move through the cheapest routes, he said. "There's many moving parts," Stephens said. Al-Katib is undaunted. AGT already operates two short-line railways in Saskatchewan and he believes there will be a need for more ports. "In the next 40 years, the world must produce the same amount of food as we produced in the last 10,000 years of civilization. So we're looking at this as a long-term opportunity," he said. "Yields are rising. We're becoming more efficient in our production and we have to optimize our freight corridors. I think there's going to be room for Churchill to be one of the gateways that's present within the system."